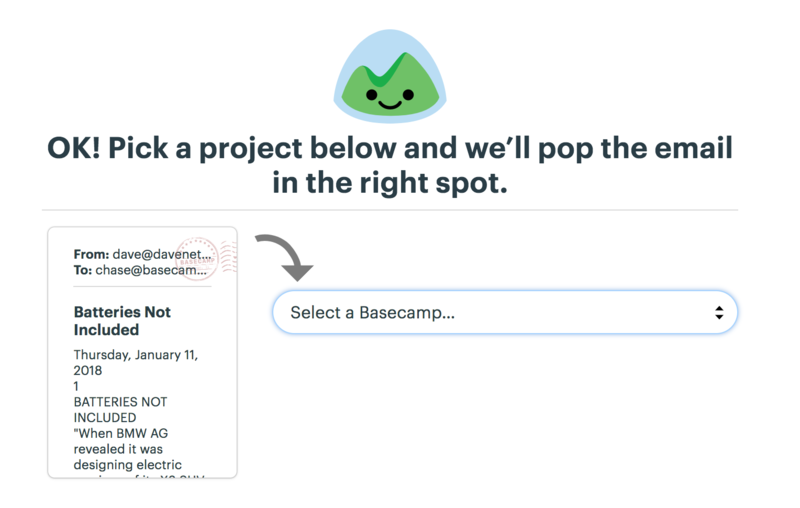 You can forward any email into Basecamp, discuss it with your team, and reply directly to the original sender. Click on a forwarded email to see it, discuss it with your team, or respond to it. Attachments on a forwarded email should be 25MB or less. 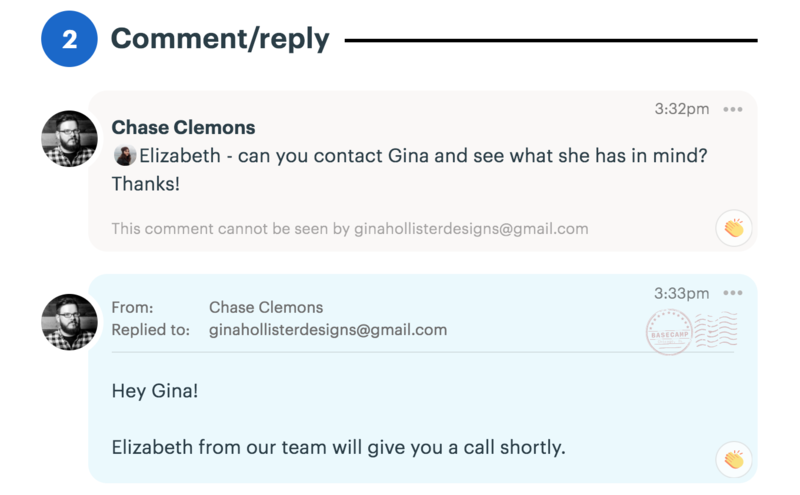 If you add comments above the text of your forwarded email, they won't show up in the forwarded email in Basecamp -- and it might also prevent Basecamp from determining it's a forwarded email! You'll want to add any commentary in the comment section below the email, once it's been forwarded in. 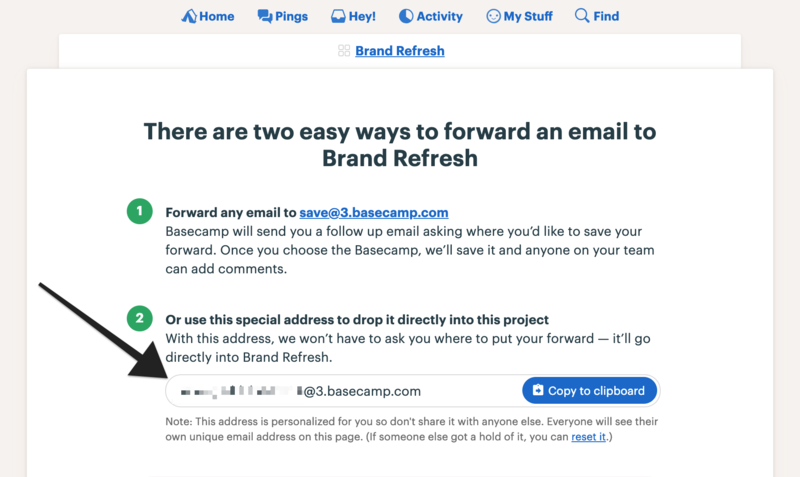 If you have a lot of emails you need to save in one Project, or if you frequently forward emails into a particular Project, you may not want to choose where to save each one. 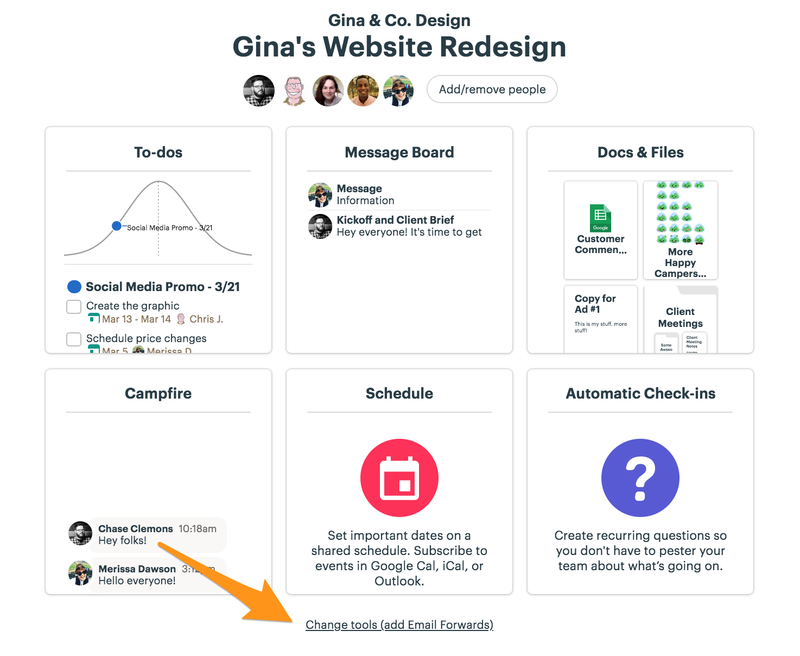 You can skip that step, and forward emails directly to a particular Project. If you already have some forwards saved, find it by clicking Forward an email in. When you forward an email to that personalized address, it will be saved in that particular project.